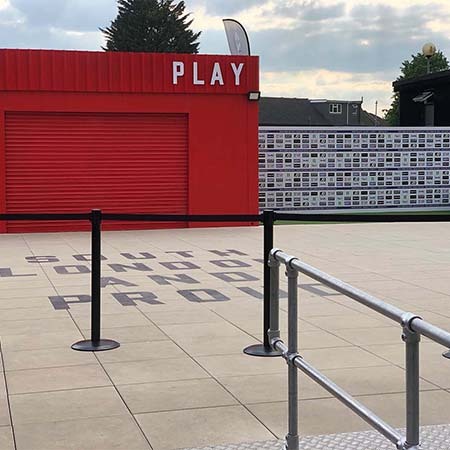 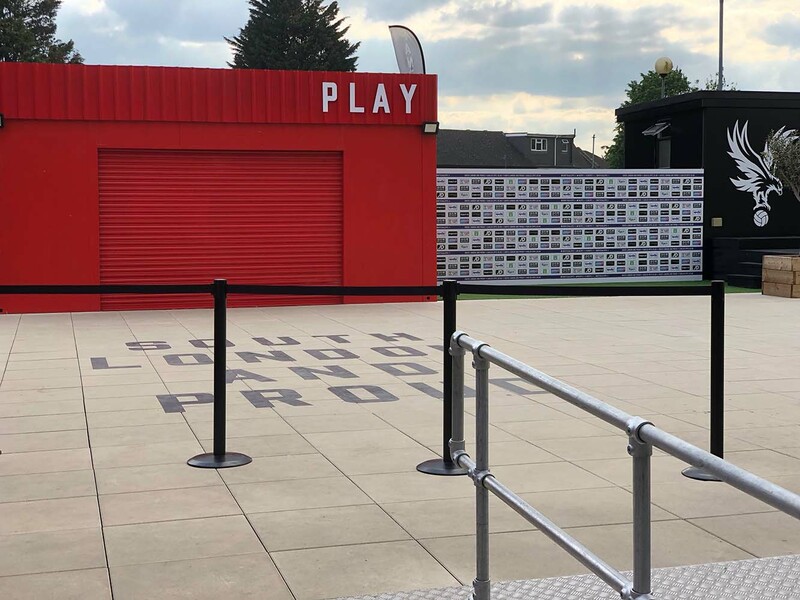 Buzon UK have supplied their DPH Pedestal system along with the Alfresco Floors Ebema range of high impact concrete pavers for Crystal Palace Football Clubs’ stadium. 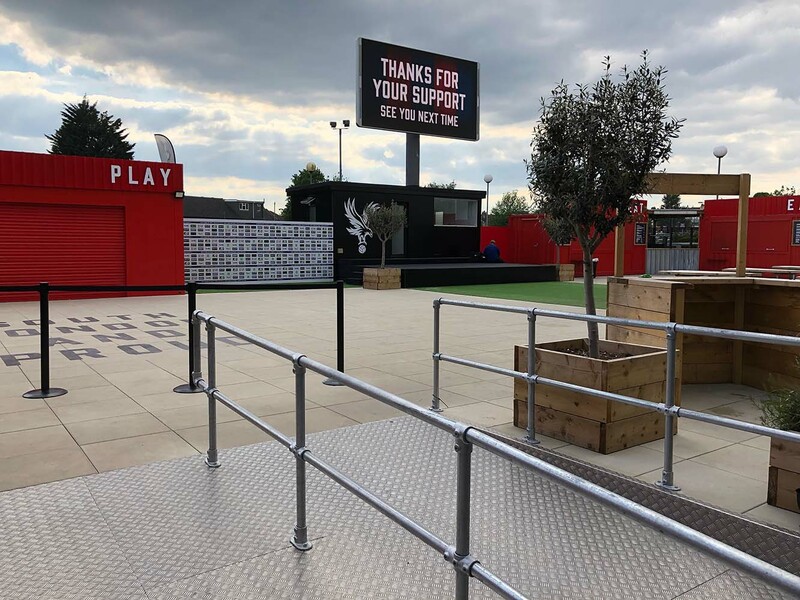 With a stadium seating capacity of approx. 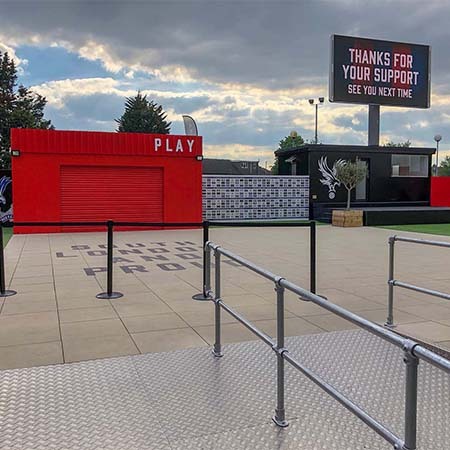 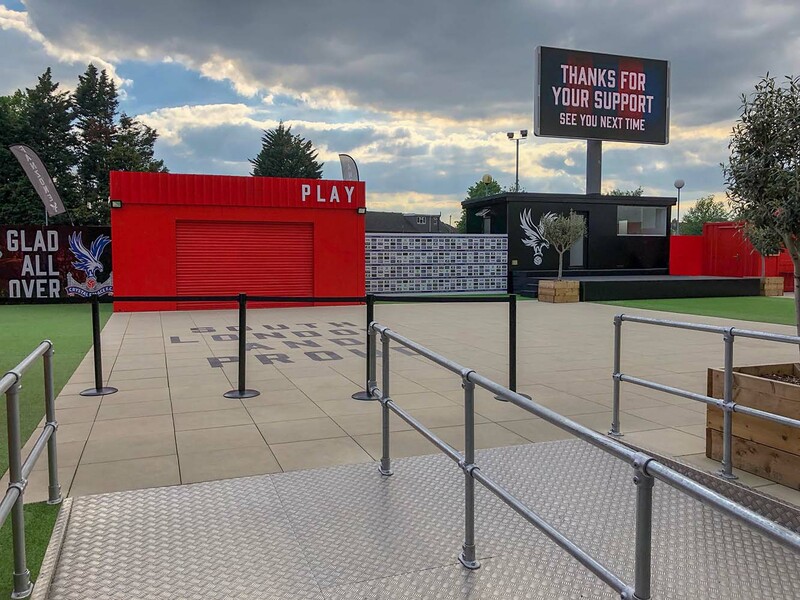 26,000, Crystal Palace Football Club has created a brand new 900m² 'Fan Zone'. 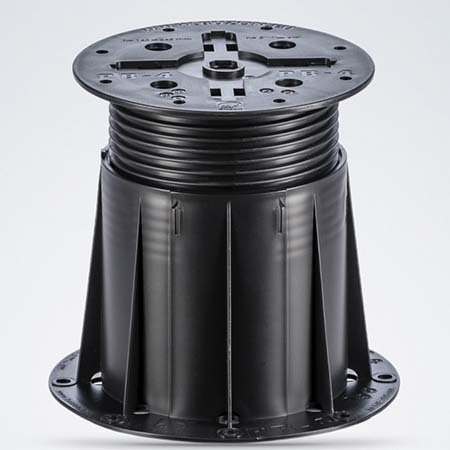 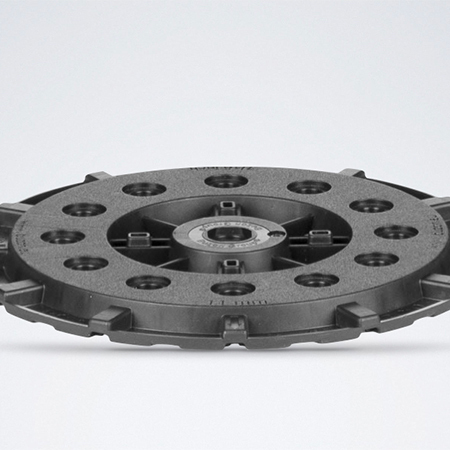 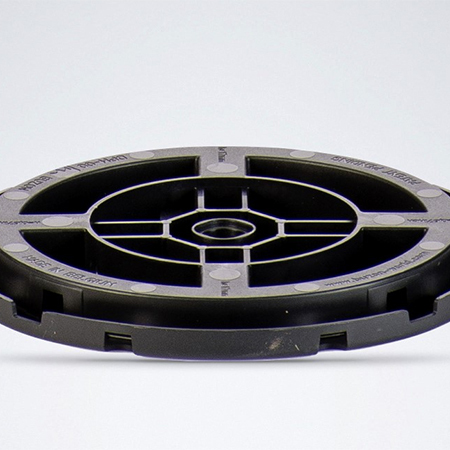 They supplied the components to achieve the high live load requirements, which included voids of up to 500mm. 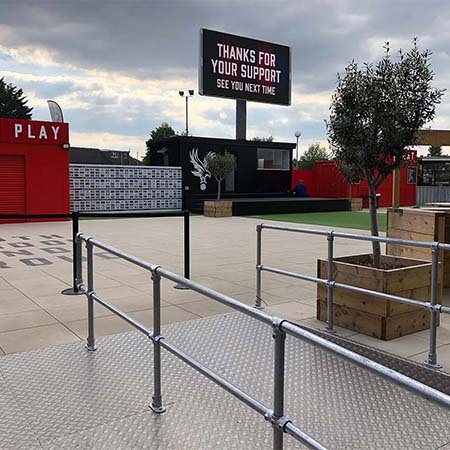 Other areas on pedestals include artificial turf lawns, stages, walkways and ramps.